Allergy skin testing is a straight forward procedure that can help diagnose allergic sensitivities. Along with your medical history, skin tests can confirm whether signs and symptoms, such as sneezing, wheezing and skin rashes are caused by allergies. 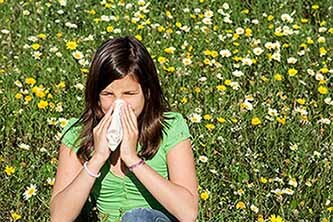 Patricia Gilbert, Physician’s Assistant at Southwest Medical Clinic in Bowman can assist you with solving your allergy mystery. With a special interest in Allergies, Patty is trained in confirming allergies and developing treatment plans that may include allergen avoidance, medications or allergy shots (immunotherapy). Patty worked closely with Dr. Gerti Janss in Rapid City, SD for more than 15 years. There she focused on Asthma, Immunotherapy and Toxicology. Skin testing tests for IgE – immediate reaction antibodies to allergens. Food Sensitivity testing looks at IgG allergies, which are a delayed reaction, sometimes up to a day later. The skin testing and delayed reaction food allergy testing are separate tests and can be complimentary to each other. Neither the skin testing nor the food allergy testing can be done in place of each other, but they can compliment each other and in some cases doing both types of testing can be very beneficial.